From design and thermal testing to compliance documentation and consulting, Chill-Pak™ provides a full range of services to develop industry leading, customized packaging solutions that safely protect and preserve the efficacy of your most valuable products. Industry leading thermal modeling capabilities enable rapid development of highly optimized custom solutions. Multiple design alternatives are presented to allow each customer the ability to easily analyze their options. 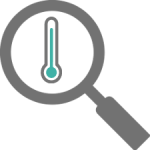 Thermal testing is accompanied by distribution testing to prove each temperature assurance packaging solution not only maintains temperature control but also withstands the rigors of distribution. Triplicate testing procedures to prove repeatability of design. Includes an in depth protocol and report. Actual shipments to monitor internal and external air temperatures. Provides additional assurance and supporting documentation. Includes protocol and report. Contact us to create a customized packaging solution for your product. Comprehensive industry guided test reports that conform to FDA, USDA, and HACCP guidelines. Testing procedures and reports conform to cGMP and EU standards. ISTA certified lab following a cGMP based methodology, conforming to PDA technical report 39 and ASTM standards. Data acquisition equipment calibrated to NIST traceable standards to ensure data integrity. Continuous improvement employed to keep up with standards. Regular customer audits used to improve the system. to ensure your product gets to its destination in optimal condition. capabilities to keep every component together & ready for use. and ISTA validation / certification testing to streamline shipping. of passive insulated shippers, ranging from small parcels to pallet-size shippers. and private labeling for unique cold chain applications. for 48 – 120 hours, and other options for very low temperatures & long shipping cycles. 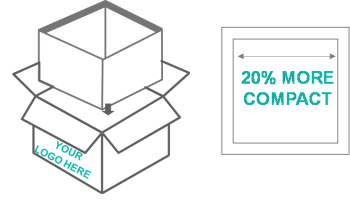 What makes our packaging the top choice for shipping pharmaceuticals, chemicals, food products, and more? Our pre-qualified and validated cold chain solutions can maintain temperatures longer. Eliminate rejections or product failures due to problems with shipping – even in the most extreme temperatures. We remove the costly requirement of overnight shipping, allowing you to ship via Ground. Our temperature controlled packaging maintains desired temperatures over longer periods of time than traditional insulated packaging. Our custom cold packaging solutions are designed specifically for your product rather than stock size for optimal performance. Our proprietary solution eliminates need for high-cost custom molds. 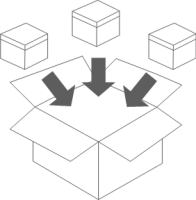 In addition to a smaller packaging profile, select products ship flat and can be assembled in seconds. This saves warehouse and truck space that would be otherwise taken up by molded EPS packaging. Our insulated shipping containers are constructed of recyclable and returnable/reusable materials versus EPS, which is non-recyclable and formed using fossil fuels.